A quarter of a hundred is out! We’re at the finish line of pre-Alpha, so we will show everything that we’ve done during the preparation. Our bear continues to overgrown with the content: today we’ll tell about some animations. Character: depends on the season but in general it’s good-natured (if the ton of muscles and claws can be good-natured). We remain that our bear has 2,5 m in height. It makes him a formidable foe for the players. That’s how his run looks like. Nevertheless, the 30 fps of GIF animation can’t convey the essence. Quiet walking. Even with the 30 fps you can notice the details of animation such as shoulder movements. One of the attacks - it’s possible that we will treble the armpit fur but it’s not clear because there will be too much polygons. There are many votings on this week but we are not going to stop. So, we have 3 variants of the crosshairs to cast to yourself (ALT button). All of us remember that after this votings our tech.artist Dmitry decided to make this more realistic as dense as the game one, cartoon. It should be noted that all tests was done at a distance of 100 m. It’s ‘Epic” settings. In fact, with the first-person camera and FOV about 100 the game characters with the 2m in height are almost invisible at the distance of 100 m.
To maintain the framerate with the dense flora we have the setting “Mask material in early z-pass”. It’s in the section of rendering optimization. It finds the existing clarity mask and cuts the unnecessary parts at an early stage of frame preparation. 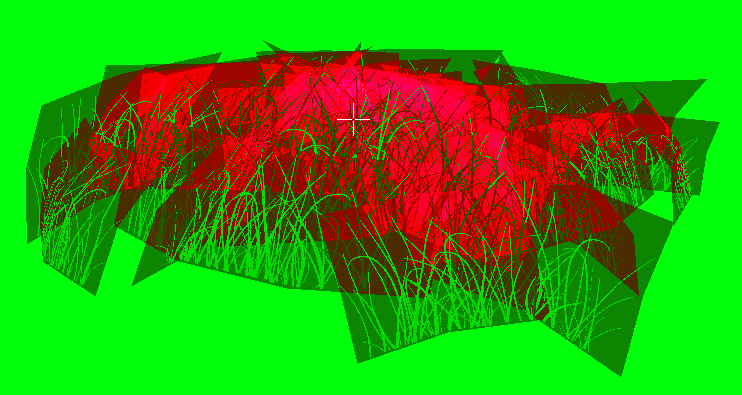 The example of this settings for the grass model (with the Shader Complexity render type, where the difficulty scale for the pixel rendering varies from green to red and white, from the easy things to the difficulties. In should be noticed that UE4 doesn’t like the clarity envelopments more than others, according to the monitoring. The comparison between the old grass and the new one. With this mesh types we lose about 4- milliseconds with the switched-off function and it’s quite a lot. There will be an information below. Turning on this function we got the increase of ~2 milliseconds. Turning on the “Mask material in early z-pass” we know that the function will cut the unnecessary information about clarity. The engines don’t like to render it. But we had one more setting “Mask material in early z-pass”, so why the frame rate is lower than with the same polycount? With the test results we can suppose that the more the unnecessary clarity the more time this function requires. Let’s do one more test. Let’s take two prepared meshes. We made one of them following the rules and second one by the other way to spend more transparent space while rendering. We place it very densely one after another with the setting “Mask material in early z-pass”. By this test we confirm that both cases requires optimized grass. 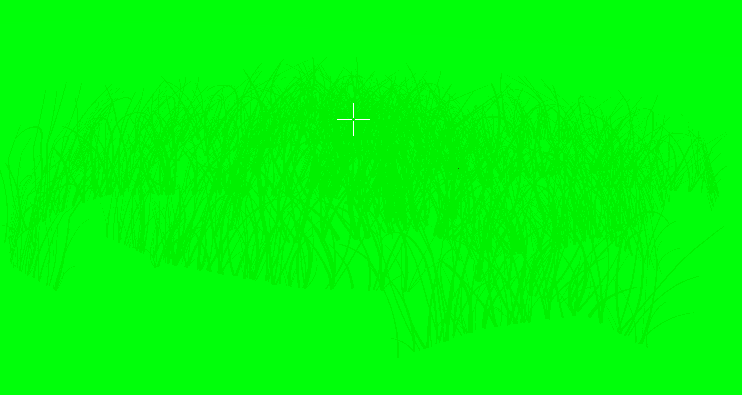 So we can maintain the high frame rate with the good-looking and dense grass. Short conlusion this time - we congratulate all women with the International Women’s Day!